The Internet has changed the way we communicate and carry out business. Web Application or Web-Based Applications are growing fast and very popular today. Web-based application development provides you with the opportunity to save time and money, and improve the way you interact with clients, suppliers and business partners. We can develop standalone applications or can assist you in increasing the functionality of your existing site. We have a team of software developers with a decade's practical experience,who work closely with our clients for thorough understanding of projects. We provide effectual software development services to global small and medium enterprises that range from custom system development to complex IT business solution. Help to achieve your presence and goals in social media. Help to plan, organize, direct and control the operations of travel-related business. We develop Facebook application which helps you to tap the potential in Facebook. Manage your cash flow online, allowing you to quickly manage and evaluate your income and expenses. Designed for small to mid size businesses to handle sales, purchasing, and inventory management and control. 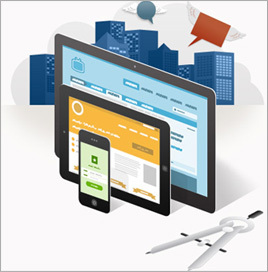 We builds cost-effective applications that improve your ability to do business. Contact us to find out how we can assist your business.